This is another new genre on my blog. 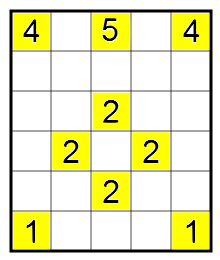 It is Fillomino Puzzle. Click on the name of puzzle for the rules.